The details of government strategy to cool the real estate market in Singapore and maintain a stable and sustainable property market have been revealed. They include changes to stamp duty and loan values for mortgages, increased deposits, making more land available to meet demand and discouraging home buyers from stretching themselves beyond their means. ‘Our objective is to create a stable and sustainable property market where prices move in line with economic fundamentals. The property market is currently very buoyant. While the rate of price increase of private residential properties has moderated in the last three quarters, prices have still increased significantly by 11% in the first half of 2010, and price levels have now exceeded the historical peak in the second quarter of 1996,' a statement said. 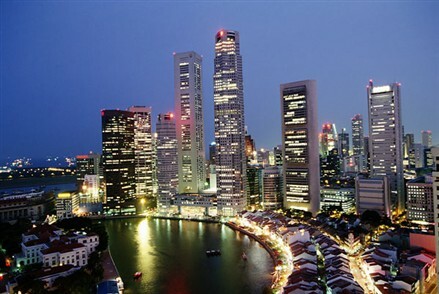 ‘While Singapore has enjoyed strong economic growth in the first half of 2010, our economic growth is expected to moderate in the second half of the year. There are also still uncertainties in the global economy. Should economic growth falter and the market corrects, property buyers could face capital losses, with implications on their own finances and the economy as a whole,' the statement continues. ‘Moreover, the current low global interest rate environment will not continue indefinitely, and higher interest rates could have severe implications for buyers who have overextended themselves. Therefore, the Government has decided to introduce additional measures now to temper sentiments and encourage greater financial prudence among property purchasers,' it adds. The holding period for Seller's Stamp Duty (SSD) is being increased from one year to three years for property buyers who already have one or more outstanding housing loans at the time of the new purchase. The amount paid will depend on when a property is sold. If the property is sold within three years the full rate of SSD will be payable at 1% for the first $180,000, 2% for the next $180,000 and 3% on the balance. If the property is sold between one and two years after purchase then the owners faces paying two thirds of the SSD and if it is sold between two and three years than a third will be due. The minimum cash payment is rising from 5% to 10% of the valuation limit for buyers with one or more outstanding loans. But this will only apply to buyers of private residential properties, executive condos, HUDC flats and HDB flats who have loans with lenders regulated by MAS. Loan to Value (LTV) limit for housing loans granted by financial institutions regulated by MAS is falling from 80% to 70% for borrowers who have one or more outstanding housing loans whether from HDB or a financial institution regulated by MAS at the time of applying for a housing loan for the new property purchase. The aim is to encourage financial institutions to maintain credit standards and encourage greater financial prudence among property purchasers already servicing one or more outstanding housing loans. The government said it will also release more land to make sure there is an adequate supply of housing to meet demand. In the second half it will make available sites that can yield about 13,900 private housing units.